Looking for one of the toughest tires on the market? Check out ITP's BajaCross 8 ply tire. They feature 25% stronger construction and their most rugged, durable tire yet! The extended life rubber compound and innovative overlapping tread pattern provides a smooth, predictable ride performance as well as slow wear characteristics. Seen on many Polaris RZR XP's and other high performance machines! We highly recommend this tire if you are looking for puncture resistance. The blocky tread design minimizes exposure to the tire casing. The tread pattern maintains traction "bite" and minimizes wear. 8 Ply Rating, Radial Kit! 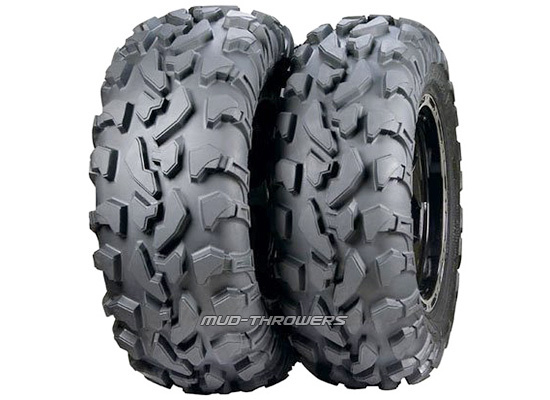 By far the best lasting, wearing tire for the money, 8 ply, very durable, excellent traction in all conditions, stands up to mountain rocks to farm locus tree thorns, pretty much any conditions you can throw at them.